The Registry is a heart and soul of any Windows system. It contains information that controls how your Windows appears and how it behaves. Most applications today use registry to store configuration and other important data. When you install an application, a new registry entries will be created. These entries will automatically be deleted when you uninstall the application. Unfortunately, it does not always work that way. Now available for Windows 10. 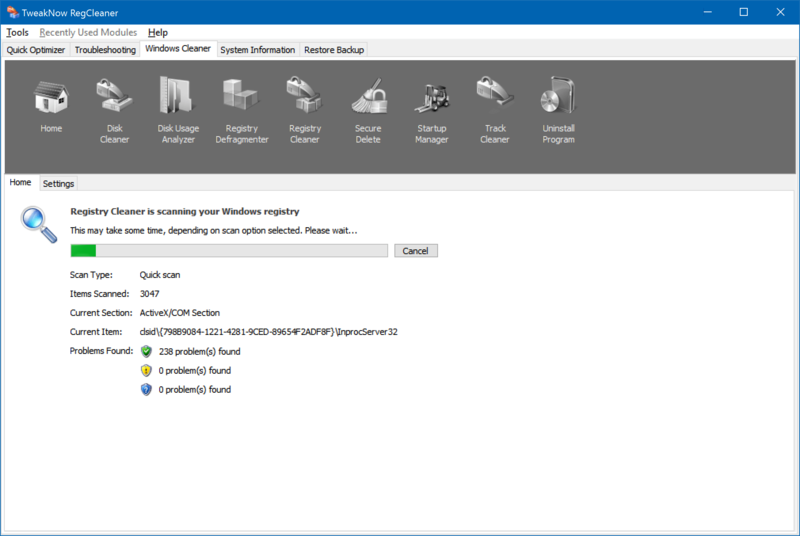 Secure: TweakNow RegCleaner 2011 automatically create backup file before deleting obsolete entries from your registry. Flexible License: TweakNow RegCleaner 2011 available in two licenses, shareware and freeware. · Fast: using a high performance engine, TweakNow RegCleaner Pro quickly scan your registry to find obsolete entries. · Accurate: using complex algorithm TweakNow RegCleaner Pro accurately identify obsolete entries. 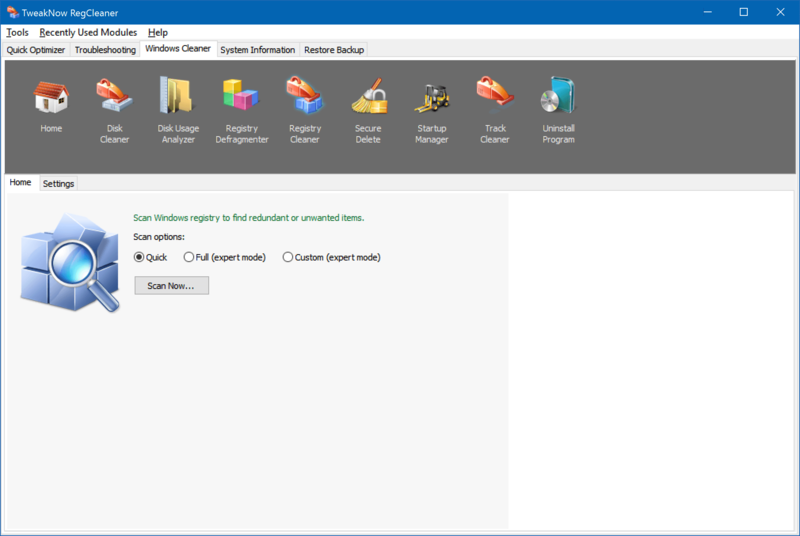 · Secure: TweakNow RegCleaner Pro automatically create backup file before deleting obsolete entries from your registry.